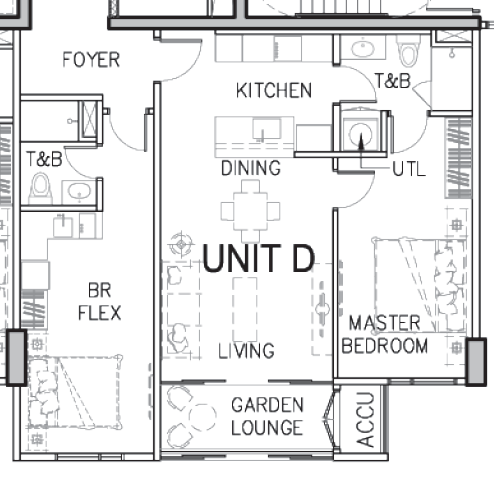 Note: The DUO Suite is a configuration that puts a 1 bedroom layout and 1 studio layout inside one unit. In this way, it can also be practically used as a 2 bedroom unit. When the unit is turned over, it also carries a very unique value proposition: A property that the buyer can have as a source of income by renting it out AND use at the same time. Studio for lease, 1 bedroom for end-use.